Designed in top-notch style and durability, this Corliving low back bar stool is sure to spruce up your kitchen. Its contemporary look pairs well with a wide variety of rooms and decor styles. Easily fit this adjustable chair to any size counter or bar. This base frame is designed with a beautiful chrome finish that adds a touch of style to any decor. Captiva Furniture was designed to accomplish two things; help displace the millions of bottle caps found in our landfills and oceans, and create a high quality product with unbeatable value. Sit in comfort and style while dining or just hanging out with family and friends. 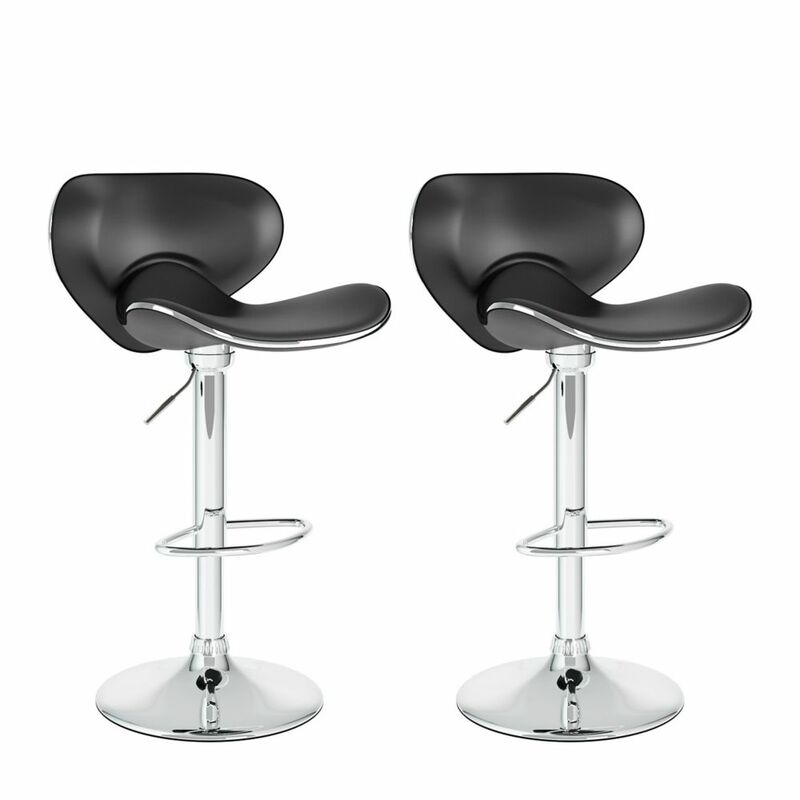 Metal Chrome Contemporary Low Back Armless Bar Stool with Black Faux Leather Seat - Set of 2 Designed in top-notch style and durability, this Corliving low back bar stool is sure to spruce up your kitchen. Its contemporary look pairs well with a wide variety of rooms and decor styles. Easily fit this adjustable chair to any size counter or bar. This base frame is designed with a beautiful chrome finish that adds a touch of style to any decor.